The first task for the new board: deciding by the end of January whether Moonves receives his $120 million severance package. The board will also have to chart a path for CBS to recover from the scandal. The meeting wrapped up in less than 30 minutes. About a dozen protesters gathered outside, holding such signs as "CBS don't reward sexual abuse" and "$120M?! Les doesn't deserve more." She urged the board to send a message that "they stand with survivors of sexual abuse and they will hold abusers accountable." Because the investigation is ongoing, there was really no point in discussing the allegations at the shareholders meeting, said Porter Bibb, a former media executive now with the advisory firm Mediatech Capital Partners. He said any mention of Moonves would have put pressure on the board to remark on the severance before the investigation results were in. 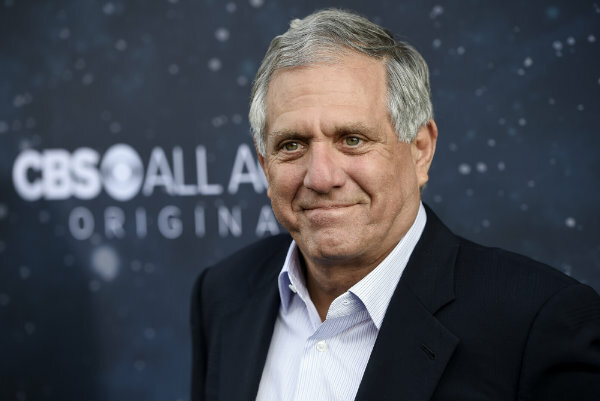 The Moonves scandal aside, the board will have a longer-term challenge determining the company's future. Shari Redstone, who controls both CBS and Viacom with his father, Sumner Redstone, attended Tuesday's meeting but did not speak.